Nancy Jensen (pictured at left with her dog Gordy). She is the youngest of my candidates for the honor (see the list at right), but to me she is the perfect embodiment of what George Eliot meant when she said: "It's Never Too Late to Become What You Might Have Been." Jensen published her first novel, The Sisters, last year on November 8 -- her 50th birthday. The road that brought her to that late-in-life first novel was long and, at times, arduous. She started writing The Sisters in the summer of 2005, when she was 43 going on 44, but her journey to become a writer began long before that. "I started writing stories almost from the moment I learned to read and write, when I was three going on four," she said in an email to me. "Because I was determined to write instead of wasting my time in college (as I perceived it then), I skipped college, got married, and pretty quickly discovered I knew absolutely nothing and that all my dreams were leaving me behind." So she changed course and decided to go to college after all. "When i started college at 23, it was with the absolute determination to develop as a writer, and I stayed focused on that, taking every writing course I possibly could, absorbing literature through every pore, and it paid off. Before I graduated, I'd already published a couple of short stories, and I had been accepted into the MFA program at Vermont College. I kept writing, kept having a story here and there picked up for publication, so I was certain I was on my way. I just knew my first book would be out by the time I was 30, and part of my drive came from being angry at myself that I'd wasted 5 years after high school, slowing my progress." But life intervened to derail her plans. Due to a personal trauma, she suddenly found herself incapable of writing. She stopped writing entirely. A few years later, still longing to write, she tried again, but, alas, she still couldn't overcome the emotional and psychological block she was experiencing. "Writing still felt dangerous, and so again I stopped," she says. "After awhile, I came to believe that whatever I'd once had was gone, and that no matter now much I might want to write, it was too late." She gave up her dream of being a writer. Years later, Jensen met up with an old friend who was very upset to learn that she had stopped writing. The friend gave her a flyer, calling for personal essays from Kentucky women writers. "I thanked her but dismissed the idea, and then, as we continued talking, I started telling her about a karate class I'd just started taking," she explains. "When I said, 'I was stunned to discover how much I like to punch and kick,' my friend said, 'That's the first sentence of your essay!' Truly, it was as if she pulled out the stopper. When I got home, I started writing, and I wrote almost nonstop for days until I emerged with a first draft of my essay "Blue Belt." High on that experience, I wrote more essays -- six or seven more -- over the next year or so, and I placed most of them for publication in literary journals. This new string of publications opened up the opportunity for me to publish my first book, Window: Stories and Essays with Fleur-de-Lis Press. By the time the deal for the book was settled in 2007 (published in 2009), I'd already started working on The Sisters, but now I hunkered down with even greater resolve." Her first novel, The Sisters (shown at left), was published four years later. What advantage does Jensen see in publishing a first novel later in life? 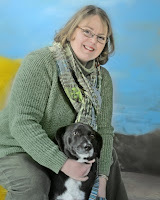 "I'm a vastly different writer than I was in my twenties," she says. " I was enormously impatient then, giving up on pieces if I hit a snag, settling too easily for what would serve rather than what would be best. In my twenties I believed I was unstoppable, and if you'd told me then I would be fifty when my first novel was published, I might have laughed at you, but secretly I would have despaired, thinking I would rather die than be a debut novelist at that terrible age. When I came to writing again in my forties, I returned entirely humbled and grateful. I'm far more patient than I was as a young writer, not embarrassed at all to say that The Sisters took five years to write. I know now how easily this part of myself can be lost, how I really did almost lose it entirely, so I treasure it more. In the old days, revision annoyed me and I'd do nearly anything to avoid significant revision to anything I wrote, but now I see revision as time when the real writing happens. 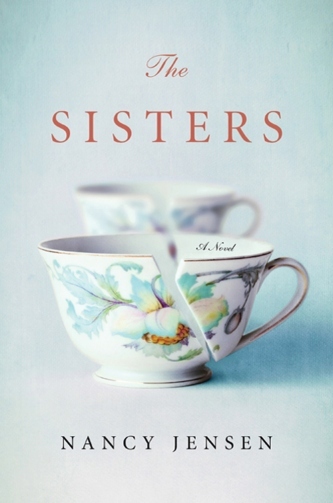 THE TRUE STORY BEHIND THE SISTERS: "When I was about ten or eleven years old, my sister pushed me into our room and whispered that our grandmother, who had been upset all day, had received a letter telling her that her sister was dead. I knew about my grandmother's brothers, but this was the first time I'd ever heard mention of a sister. I tried to ask questions, but my sister shushed me, telling me I must never ask anyone about it -- and especially not Grandma. Later, my mother repeated the same admonition, but I couldn't stop thinking about this estranged sister. Over the years, fragments of the family lore surrounding the sister trickled down to me -- though my grandmother still kept silent. I heard the sister was a tramp and a gold-digger. Sometimes it was implied that this was why she had been cast out of the family, but other times it was suggested she had turned her back on them. I could understand how someone might reject a family member. I could understand how a person might speak badly of the one who had been rejected. But I could not understand, and I could not stop wanting to know, what kind of offense or betrayal could result in one sister's deciding to erase another, as if she had never existed. My grandmother died without sharing the intricacies of her story, so I knew if I was ever going to have an answer to my question, I'd have to write it myself.